Long been heralded as the unhealthiest nation in Europe, Britain is having something of a fitness revolution. Going to a gym class is now a social event, wearing lycra is no longer a fashion faux pas, and we’re obsessed with the latest diet fad from low GI to no sugar; but as is often the case, we fall off the bandwagon when a holiday rolls round. But what if there was a way to stay on track on holiday without feeling deprived? Because all our accommodation is self-catering, it’s easy to stay on track and make smart food choices. 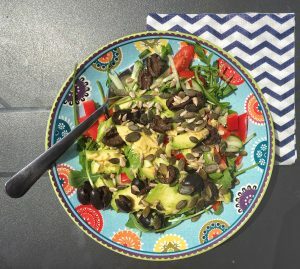 Mix in some toasted pine nuts, sun dried tomatoes and drizzle with olive oil, and you’re on your way to a winning summer salad. French markets, and even supermarkets are a great source of fresh fruit and vegetables and can be added to any meal time. How about yoghurt with fresh fruit for breakfast, a hearty lunch time salad, and a baked a potato on the BBQ! When we’re on holiday, our usual fitness regime is the first to go out the window, but by making minor adjustments, it’s easy to maintain some semblance of a healthy lifestyle. It’s suggested that we walk 10,000 steps a day to maintain an active lifestyle. 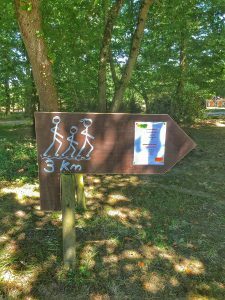 At Chateau la Foret, there are plenty of woodland walks to help get to the magic number; including the new 3km Fitness Route that winds around the grounds of the Park, taking in the Chateau, Lake and woodland. Not to mention sight-seeing; just wandering around a nearby town or attraction makes it easy to achieve those 10,000 steps! 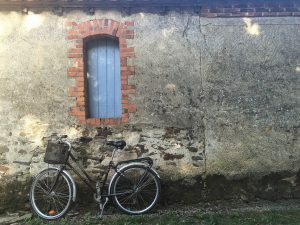 With dedicated cycle tracks throughout the region, it’s a safe and fun way to explore the region, and is a great way to stay in shape; plus bikes are available to hire from Chateau La Foret, including child seats and trailers, so there’s no excuse not to explore the countryside, or follow the route to the beach! 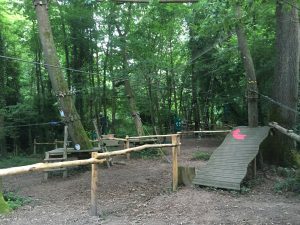 For the more adventurous, head to Le Grand Defi situated on the other side of the lake, and offers zip wiring obstacle courses for all abilities, and there’s even courses for children from the age of 2! 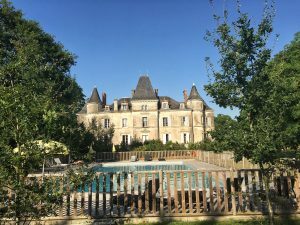 There are 2 swimming pools at Chateau La Foret, so there’s no excuse not to do a couple of lengths. If swimming’s not your thing, take part in the Aqua Aerobics class held twice a week. 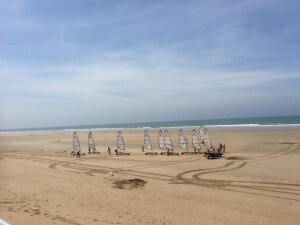 With so many bodies of water nearby, including Lakes, Salt Marshes, and of course the Atlantic, there are plenty of opportunities to get your seas legs, with canoeing and kayaking, surfing and sailing schools nearby.